Scientists and environmentalists have been talking about clean energy for a long time, but what if it’s dirt and grime that could create the next generation of clean batteries? The scientific community has known for quite a while that a certain type of marine bacteria creates electrical currents in the presence of heavy metals. 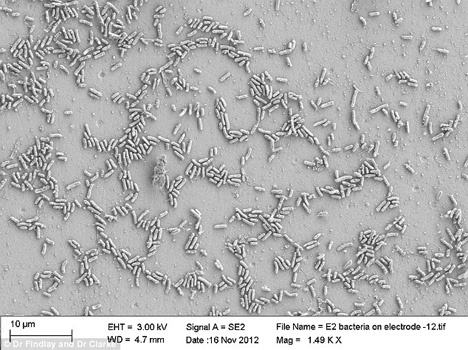 A recent study in the Proceedings of the National Academy of Sciences details how these bacteria have inspired a new type of clean bio-battery. Researchers created an artificial version of the marine bacteria using the proteins that the bacteria utilize in creating an electric current. The proteins help to shuttle electrons between an electron donor and an iron-containing mineral. The study showed that bacteria lying on the surface of a metal or mineral could easily conduct electricity through their membranes. This knowledge could pave the way for future bio-batteries that use the same proteins – or it could simply serve as a jumping-off point to find bacteria that perform the same function even more efficiently. 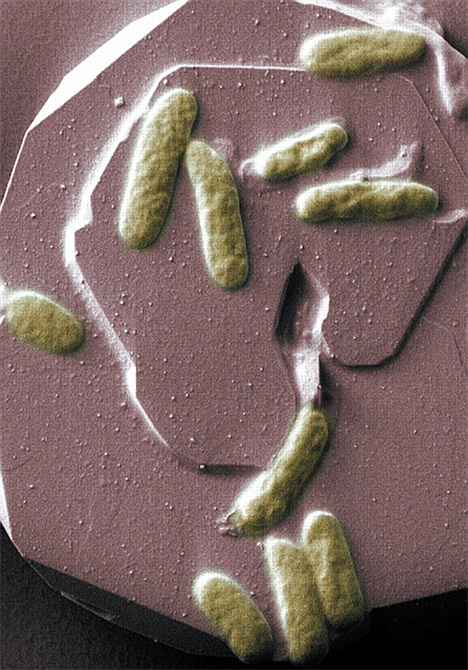 Bacteria-based bio-batteries could be especially useful in low-sunlight situations where solar power is not an option, such as in the depths of the ocean. See more in Energy & Power or under Science. March, 2013.